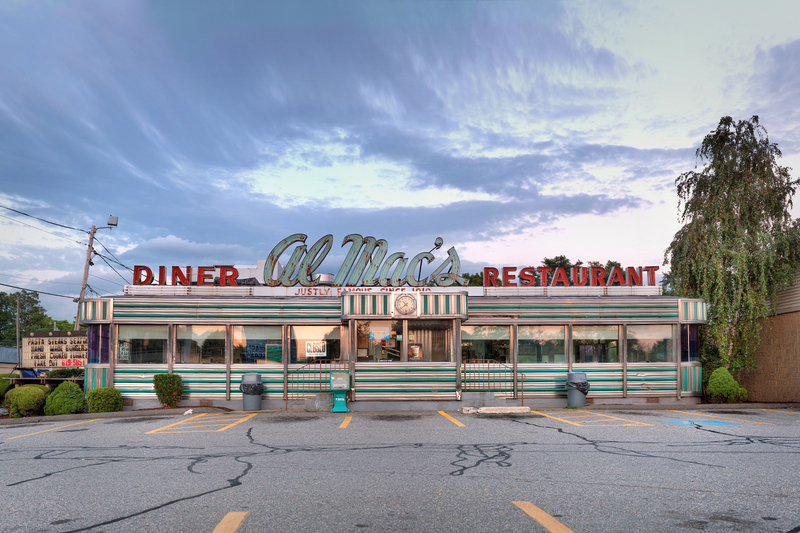 This is Almac’s diner, it has been a Fall River, MA icon since 1910 and has been closed down as of Monday. I regret not doing this photo shoot when it was in business and all the neon lights where operational, I had no idea it was closing until it was already closed. More info on the place and it’s closing over at The Herald News. This was a HDR multi-row panorama. I wanted to make a HUGE high quality image for large printing, and may go back and do it again at night with some manual light painting where the neon lights would have been.